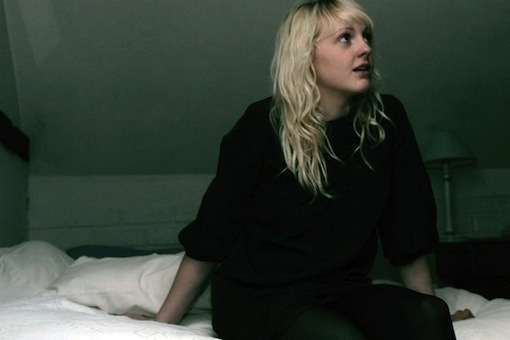 Laura Marling is one talented girl. We’ve known that ever since the release of her debut album, Alas, I Cannot Swim, back in 2008 when she was just 18 years old. This year’s excellent Once I Was An Eagle just serves to confirm her talent. Now putting images to sounds, the 23-year-old British songwriter released a music video for “Devil’s Resting Place” and it’s equally as impressive. Watch it after the jump. Beautifully shot and as haunting as the music itself, the video combines woodland nature with contemporary dancing for some powerful, movie-esque shots. Directed by Fred Scott and Nick Davies, the video follows a woman in Victorian garments lost in the woods before she returns to her Wuthering Heights era mansion. Just as Marling promises (“When you come to call on me that’s why my eyes are glazed/ I’ve been with the devil in the devil’s resting place”), the devil meanders over (you’ve always pictured him as a fan of wide-brimmed hats and bird tattoos, right?) and starts an exorcism-like dance in the woman.